Nostradamus has been the center of many jokes in modern times, with people taking his prophesies as nonsense, but no one can say that he hasn’t been right in many cases. And many of the prophesies he had in store for 2019 look as though they aren’t far from coming true. The French prophet has made predictions for many years but as we move into 2019 we are putting our attention towards some pretty specific ones. They were recorded in his book Les Propheties and have been gone over many many times. It seems 2019 is going to be a year of earthquakes, hurricanes, and frustration in more ways than most could imagine. Considering he accurately predicted things like 9/11, the rise of Hitler, and more we should probably be giving his prophecies a bit more attention than we do. According to Nostradamus quatrains in 2019 some European countries will be facing flooding on a very extreme volume and that the increased religious extremism across different regions in the world will lead to lots of disorder. 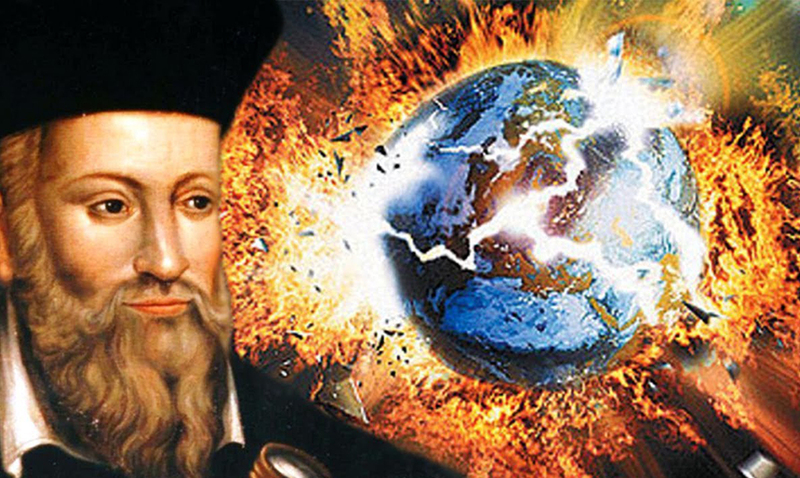 With climate change becoming a bigger and bigger issue Nostradamus’ warnings are becoming quite clear. He warned that “we shall see the water rising and the Earth falling under it.” This meaning the serious effects of climate change are going to be well underway. The prophet did note that political leaders would finally come to some kind of agreement in regards to the reduction of pollution but who knows how in depth that agreement will be. While this one is easily one of the least likely out of Nostradamus’ 2019 prophecies it does seem that animals and humans will be bonding on a new level. He said, “The pigs will become brothers to man.” This could go in a number of directions so we will have to wait and see how things play out. Perhaps it could be in regards to something completely unexpected? Maybe technology finally allows us to speak to our furry friends? According to one website that goes over all of Nostradamus’ predictions each year says that he actually predicted that in 2019 the US would be facing a very big earthquake that would cover the distance between California in the US and Vancouver Island in Canada. This could possibly even be the greatest natural disaster in US history and personally, I hope it is one of the prophecies that do not come true. Medicine might become so advanced that we are able to seemingly live forever? He predicted that somewhere in the current time period “The advancements of medicine will raise humans’ life expectancy up to at least 200 years of age.” While we can’t be 100 percent sure on which years each prophecy is for we can assume these are for late 2018 to 2019.